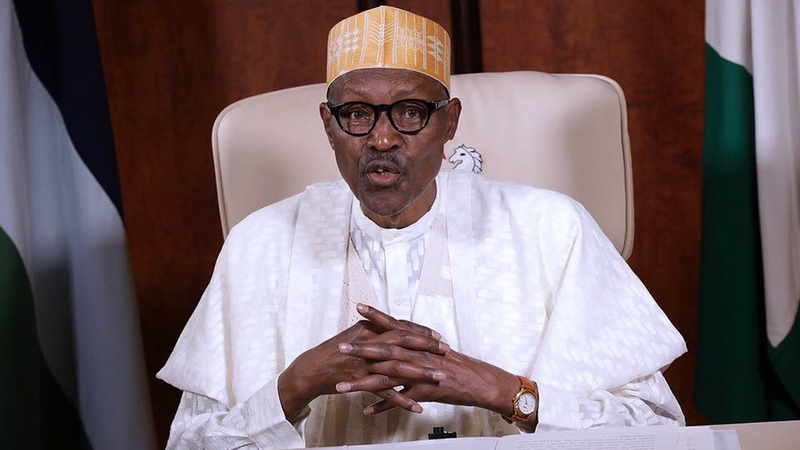 In new year’s day President Muhammadu Buhari made a definitive statement on the structure of the Nigerian federation. He said: “We Nigerians can be very impatient and want to improve our conditions faster than may be possible considering our resources and capabilities. 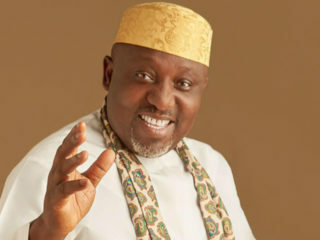 When all the aggregates of nationwide opinions are considered, my firm view is that our problems are more to do with process than with structure.” This statement is a firm repudiation of the idea of restructuring the country for efficiency and development, an idea that has generated a lot of views nation-wide. Before now Buhari had tried to distance himself and his government from the subject of designing a more workable architecture of governance for the country. He dismissively and evasively put the idea of reviewing the 1999 Constitution at the door of the National Assembly. 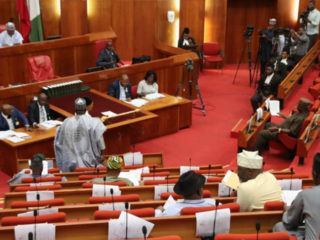 Legally such a review belongs to the National Assembly but the National Assembly members did not canvass for votes on the basis of a proposal to review any aspect of the Constitution when they campaigned for election. Besides, a constitution amendment is a fundamental exercise with monumental implications for the country. That is why many countries subject such exercises to a referendum. In our own case the State Houses of Assembly are expected to be involved in the process too. So it seemed to be an effort to diminish the importance of the exercise, when Buhari casually shifted the matter to the National Assembly, when it is a matter that transcends the strict confines of the National Assembly. Buhari is the leader of the APC, a party that had promised in its manifesto to bring about devolution of powers which is a component of restructuring. When the issue was raised the APC decided it did not know what restructuring means or what Nigerians were talking about. So it set up a committee headed by the Governor of Kaduna State, Mallam Nasir El-Rufai, to sink its teeth into the issue and provide a road map for the party. The Committee went on a road show to seek the views of Nigerians all over the country. The product of that effort is probably gathering cobwebs in someone’s office. The report has not been made public. And now Buhari comes with a definitive view on the subject. Two interpretations are possible. It is that the party is undecided on what to tell Nigerians and therefore wanted to use the President’s new year speech to test the waters. If that is the case, then the public reactions to the President’s remark will tutor the party on how the wind is blowing and it will take a position based on what it considers appropriate. Secondly, it is possible that Buhari wants to tie the party hands and feet and offer it no room to even put its ideas forward on such an objectionable idea (to him) as restructuring. If that is the President’s desire then he is laying the foundation for internal dissent and subversion of the principles of democratic engagement. Some of the party leaders especially from the South West campaigned for Buhari on the basis that he would, when he wins, put in place a restructured federation that will work for the benefit of all Nigerians. 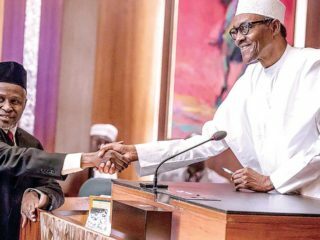 At the inauguration of the El-Rufai Committee, Chairman of the APC, Chief John Odigie-Oyegun had said: “If any group can claim ownership of the principle and the need for true federalism that group is the APC.” How does Buhari want Oyegun and the other prominent leaders in the APC to feel now? If he repudiates the idea of a restructured federation as he has done he is setting himself on a collision course with them barely one year to the election. With the very incompetent manner that he has handled the recent security challenges all over the country, the growth of youth unemployment and spiraling poverty, it is obvious that his 2019 exertion will be the equivalent of climbing a wall. It is also possible that Buhari’s kitchen cabinet members and some northern elite have assured him that he should stick to his guns, that they can push his re-election through by hook or crook. It is possible, too, that they have assured him that there will be no consensus on the constitution amendment because of varying interests of the various zones. If there is a deadlock then the status quo will remain. That thesis guarantees no retreat from the restructuring issue which has partly been responsible for the problems in the Niger Delta and South East. Ohanaeze has been able to keep some of the agitators in the South East quiet by telling them to forget Biafra and to push for restructuring. So have the leaders of the South South with respect to the armed groups in the region who have been clamouring for self-determination or resource control. Buhari is a retired military man as well as a northern leader with imperial tendencies. He also fought in the Biafran war to keep Nigeria one. Like most armed forces personnel who fought in the war their views of Nigeria are rigid, and inflexible. They believe in the intense concentration rather than diffusion of power. That is why they crafted in the first place a constitution that has proved unworkable, dysfunctional and retrogressive. If the APC that campaigned on the basis of change cannot see that this Constitution which has been operated by four Presidents now is an obstacle to change and development then change to it was simply a slogan. Buhari’s January 1, 2018 statement was a pre-emptive strike that has put his party in a difficult situation. It shows that he holds his party in contempt or that he is above the party. The party will either obey his command and lose the support of the pro-restructuring fraternity or find a way of coddling the animal called restructuring in some way without losing its supporters opposed to the idea. Anyone who tells President Buhari that restructuring as an idea will fade away with time is selling him a dummy. This subject will constitute a major campaign issue in 2019 and presidential candidates will have to take the risk of supporting or opposing it. In Buhari’s case, devolution of powers is already there in the APC manifesto. If he fails to do something tangible about its implementation before the elections he will have to pay for it. The ironic twist to Buhari’s anti-restructuring gaffe is that it came at a time that the nation was nearly completely paralysed. People were sleeping in their cars at petrol stations waiting for the parched throats of their cars to be lubricated. At five different centres around the country people were being slaughtered like cows without the security agencies preventing or punishing or arresting them. The reason these massacres occur without anyone raising a finger is because the federal security agencies cannot, do not have sufficient local presence to monitor the dark spots and to share intelligence. That is why the call for local policing becomes an attractive proposal because all crimes are basically localized. Therefore it is those who operate in such localities that are best able to detect and prevent crime. It is not enough to command the Inspector General of Police to stop the killings. He is not a magician. The Nigeria Police are not adequately equipped for the job today. Three hundred thousand policemen cannot adequately man with considerable success a population of about 180 million people. This falls severely short of the United Nations prescription of one policeman/woman to 400 people. Anyone who thinks Nigeria is working is lying to himself. Instead, the country is nearer the destination of a failed state than otherwise. Look at these: Prolonged electricity failure; endless struggles for petrol over several decades in a major oil producing country; bone-breaking pot-holed federal roads; federal hospitals that have no syringes and X-ray machines; four federal refineries that produce only 10 per cent of the country’s needs thus making Nigeria a laughing stock of a petrol importer; a huge army of beggars in all our major cities; the country has become a major slave-recruiting centre many of whom die in the desert or the Mediterranean sea; migration of top grade professionals abroad for greener pastures; emergence of well armed murderous gangs that terrorise whole communities undeterred even in broad daylight; states owe their civil servants and pensioners many months salaries and allowances. We can go on and on. Anyone who says this is how a 57 year old country with mammoth solid and liquid minerals and huge manpower should be ought to have his head examined. We have all the potentials to be great but we continue to be called “a potentially great country.” If we continue to resist change, real change, we will continue to retain our Lilliputian status.